After selling over 10 million copies of his 2014 album X, Ed Sheeran has established himself as a global popstar. Born in Framlingham, a small, easygoing town in the UK, he’s known for singing romantic pop songs, but he’s also proved his talent for rapping in “Eraser,” one of his latest tunes. 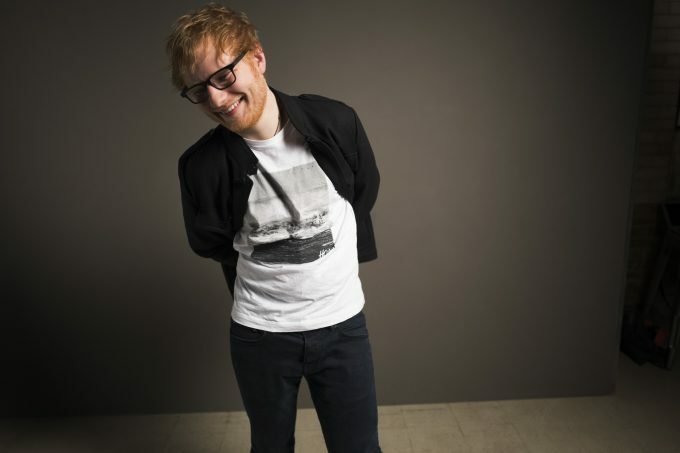 He has many tricks up his sleeve — in other words, Sheeran is a multi-talented artist, perhaps one of the most multifaceted of his generation as evidenced by Divide (÷), his new album which was released at the beginning of March 2017. Sheeran always writes his own lyrics and is considered one of the most successful contemporary songwriters. He knows how to surprise his audience — largely young and female — after a career that started over 10 years ago. Sheeran shows us once again that he has a wide range and varies between different genres through his songs. With 12 tracks, his new album was one of the most widely expected of this year. But did it really deserve all that anticipation? In Divide, his 3rd studio album, Sheeran releases himself with intimate ballads. Indeed, he seems to give more weight to the personal spectrum with songs inspired by directly from his life experiences. He covers many topics, for example, in the country-pop song “Castle on a Hill” Sheeran talks about his youth with nostalgia while in “Happier,” which is happy only through its name, he tells of the unpleasant feeling of discovering an ex-partner in someone else’s arms. Finally “Nancy Mulligan”, an irish-folk tune, was inspired by Sheeran’s grandparents’ love story. His song “Barcelona”, which was originally supposed to be the first single of the album, is probably the most commercial. With basic lyrics and a redundant melody, this song nearly makes us think of a lack of inspiration. It’s nonetheless enjoyable to listen to and no doubt puts a smile on people’s face. But the real star of the album is certainly “Shape of You,” an energetic dance number that speaks about a random hookup. It is not surprising that whenever you turn on the radio, you’ll stumble into this song. With more than 600 millions views on Youtube, it’s a regular on the airwaves, played at least five a day on all top 40s stations. To conclude, his fans were right to wait impatiently for its release. This new album is full of surprises. But more specifically full of love. Sheeran opens up, offering a true hymn to love — jovial, lost or impossible love, in all of its forms. He seems however to be happy at this stage. We hope it lasts, on the condition that he will not stop singing.